Computer-aided manufacturing (CAM) software converts computer-aided design (CAD) models into information that can be used by machines on the shop floor. This type of software helps manufacturing companies optimize the process of transforming raw materials and components into finished products. CAM software delivers information on how different types of equipment should perform production operations such as cutting, milling, and roughing. This type of software is leveraged by production managers to prepare and plan production operations, as well as by shop floor employees to use the equipment efficiently and safely. CAM software is typically used in conjunction with CAD or product lifecycle management software. It may also need to integrate with other software products used in manufacturing such as ERP systems or manufacturing execution systems. 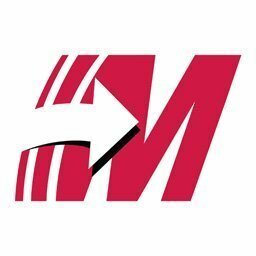 Computer-Aided Manufacturing reviews by real, verified users. Find unbiased ratings on user satisfaction, features, and price based on the most reviews available anywhere. Fusion 360 is for product designers, mechanical engineers, and machinists. It unifies design, engineering, and manufacturing into a single platform. It allows you to connect your disconnected product development process to deliver high-quality products to market faster and positively impact your bottom line. Fusion 360 is a fully integrated CAD, CAM, and CAE software that includes generative design, 2.5, 3, 4, & 5 axis machining, and advanced simulation, and is available on PC or Mac. NX CAM provides comprehensive and integrated NC programming capabilities in a single system. 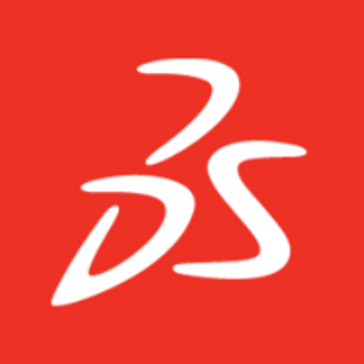 This enables the use of consistent 3D models, data and processes to seamlessly connect planning and shop floor operations with a digital thread. SolidCAM runs directly inside your existing SOLIDWORKS or Autodesk Inventor CAD system, with seamless integration and full tool path associativity - design changes initiate automatic tool path updates to the CAD model. Mastercam delivers a comprehensive toolpaths combined with robust CAD tools.Mastercam gives shop a powerful and integrated foundation of shop-tested CAD tools. SprutCAM contains a full set of strategies for turning machining of parts of any complexity, all the known turning cycles are supported. CAMWorks is an intuitive, feature-based CAM software that helps to increase productivity using best-in-class technologies and adaptable automation tools to maximize CNC machining efficiency. Inventor HSM and HSMWorks CAM software simplify the machining workflow with CAD-embedded 2.5-axis to 5-axis milling, turning, and mill-turn capabilities. Available only as part of the Product Design & Manufacturing Collection. BobCAD-CAM provides CNC programming solutions for mill, mill turn, lathe, router, laser, plasma, waterjet, and wire EDM machines. Our CAD/CAM systems offer powerful CAD functionality for design combined with toolpath and complete G Code producing functions that makes CNC software programming simple. 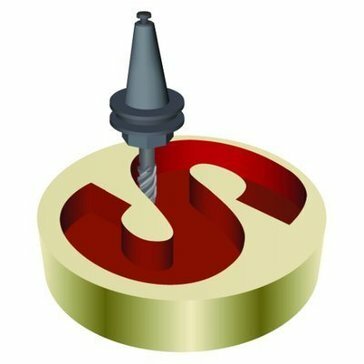 RhinoCAM is a Computer Aided Machining (CAM) plug-in for CNC that runs completely inside of Rhinoceros 5.0 & 6.0. This plug-in is a general purpose machining program targeted at the general machinist. Surfcam is a market leading computer aided manufacturing (CAM) system for NC part programming. With unparalleled ease of use and sophisticated toolpath generation, it's the only CAM system you'll need for milling, turning and mill-turn machining. Surfcam utilizes in house knowledge and experience to drive the CAM process with automation tools to suit different applications - allowing to maintain your competitive edge. ESPRIT system offers powerful programming for any CNC machine tool. ESPRIT's full-spectrum functionality includes programming for 2-5 axis milling, 2-22 axis turning, 2-5 axis wire EDM, multitasking mill-turn machining, and B-axis machine tools. Streamline your operations with the powerful and flexible ESPRIT system, valued by CNC programmers for its extensive suite of machining cycles, comprehensive tool control, and capacity to fully support an entire shop. FeatureCAM software automates workflow from design to NC code. It automatically recognizes holes, bosses, sides, and pockets in a single workflow for faster programming. MachineWorks functionality gives CAM software manufacturers the ability to simulate and verify their toolpaths. Our true-solid engine allows collisions to be detected and simulated with high quality animations that are built on OpenGL or DirectX graphics. For complex machining, MachineWorks’ kinematics allow full machine simulation to ensure that all clashes and gouges are detected anywhere in the machining environment. TopSolid Cam is A simple, intuitive and scalable global CAD/CAM solution. Easy to use to control a lathe/grinder or a continuous 5-axis machining center. CGTech specializes in numerical control (NC/CNC) simulation, verification, optimization, and analysis software for manufacturing. A scalable CAM system that gives you the tools to program parts faster and cut machine time with innovative toolpath strategies and proven, error-free post processors. VisualCAD/CAM features MecSoft's FREE and easy-to-use CAD program VisualCAD, which is the host platform for the VisualCAM and Visual3DPRINT plug-in products.VisualCAM is MecSoft's flagship CAM software product that addresses the CNC machining market needs with modules VisualMILL, VisualTURN, VisualNEST, and VisualART to address specific needs of various CNC manufacturing processes. AlibreCAM is a Computer Aided Manufacturing(CAM) plug-in that runs completely inside of Alibre Design 2018 3D CAD software. AlibreCAM merges the power of Alibre Design's parametric modeling with the legendary machining capabilities of MecSoft's flagship CAM Software, VisualCAM. AlibreCAM 2018 runs seamlessly within the Alibre Design user interface, giving you only one interface to learn. compatible with Windows XP, XP64, VISTA, and Windows 7 X64 Professional, CAM-TOOL provides Mold & Die manufactures a wide range of modeling capabilities not found in "high end" programming systems. EXAPT represents 3D-CAD/CAM software solutions - from design to production - and offers its customers software for NC planning, production data and tool management.The extensive EXAPT technology with the emphases turning, drilling and milling enables an efficient programming solution for complex workpiece requirements with up to 5-axis simultaneous machining. EZ-CAM was one of the first PC based CAM systems to enter the market and offers innovative, productive, affordable manufacturing solutions. From simple and easy to use 2 axis milling and turning to full 3 and 4 axis Milling, Mill/Turn, 5 axis Wire EDM and arc G-code Optimization. GMSWorks 4.4 is the latest release of the CAD/CAM software that helps engineers design and manufacture complex parts. This computer aided design and manufacturing (CAD/CAM) software package includes a full integration of the new DESIGNBASE advanced modeling kernel, featuring superior free form surface and solid geometry modeling and unmatched design editing capabilities. hyperMILL is a modular and flexible CAM solution for 2.5D, 3D and 5-axis milling as well as mill turning and machining operations such as high-speed cutting (HSC) and high-performance cutting (HPC), with everything integrated in a single interface. The special applications for milling impellers, blisks, turbine blades, tubes and tire moulds round off the range of functions available in hyperMILL. IMSverify provides a unique NC verification solution to check the postprocessed code that will run on the machine. This goes beyond simple APT or CL file verification within the CAM system. Verification of the actual G-code that will run on the machine provides you with complete confidence that the part will be cut correctly. Lantek's nesting CAD/CAM software optimizes the material yield and the quality of the results to the maximum.Lantek Expert provides the most advanced nesting algorithms and mechanization strategies (Thinkingmetal Technology) for any of the existing cutting (laser, plasma, oxy-fuel, water jet technologies) and punching machines. Concepts NREC’s MAX-PAC family of CAM software provides optimal cutter-path solutions for turbomachinery components by offering users several cutting strategies that can reduce engineering costs as well as production costs. MAX-PAC is available in any combination of modules to suit part geometry requirements for flank milling of ruled-surface blading, point milling of arbitrary-surface blading, point milling of integrally shrouded impellers, or milling of single blades. ModuleWorks is a leading provider of CAD/CAM components, providing 5-Axis, 4-Axis and 3-Axis machining and simulation technology as used by many of the leading CAM systems and specialist manufacturing companies worldwide. NCG CAM Solutions Ltd provides CAM software solutions, offering all the tools needed to manufacture prototypes, models, moulds, dies, patterns and finished products. Company specializes in 3D HSM CAM. NCL is a powerful Computer-Aided Manufacturing system designed to provide a maximum degree of flexibility in creating tool paths to produce machined parts of any complexity. NCL offers a unique blend of automated and user-controlled tool path generation techniques that result in reduced programming time and increased quality. ProfiCAM VM - NC,programming for turning and milling machines as well as turn mill (Millturn) machines,creates integrated processes, minimizes throughput times and increases reliability - for maximum quality, process reliability and cost efficiency. ProfiCAM VM includes CAM technologies for the calculation of highly efficient toolpaths. The SmartCAM product line consists of computer-aided manufacturing products for CNC Milling, Turning/Lathes, Fabrication and Wire EDM. Additionally SmartCAMcnc offers native format data translators for SOLIDWORKS and Autodesk Inventor and other native CAD systems, and software subscription agreements that provide product updates, superior technical support and much more. The SmartPACK lineup consists of SmartCUT for automatic detection and elimination of time-wasting air-cuts, SmartFEED for intelligent feed-rate adjustment based on depth-of-cut and SmartPATH for advanced tool-path optimization. Better yet, when used as part of ICAM’s Adaptive Post-Processing technology, it can perform all these operations simultaneously, without the need for excessive CAM reprogramming and retesting. Tebis allows to quickly and easily generate collision-checked NC programs in all manufacturing-related industries and application areas. Create quick and easy electronic instructions with images, videos, and more! Hi there! 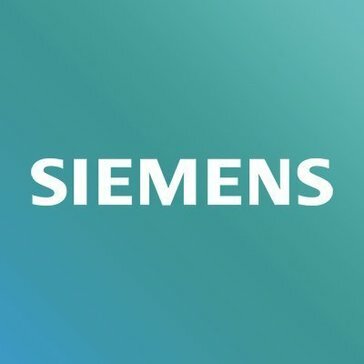 Can I help you find the best Computer-Aided Manufacturing solutions?